If asked what is the secret weapon of this campaign, being a campaigner you should say custom 2x3.5 campaign business card magnets round corner – 20 MIL. These magnets are sure to generate buzz for a campaigner by authentic charm to their messages. Being made up of high quality resourced magnetic material, the magnets are sure to make impact on minds that see it. 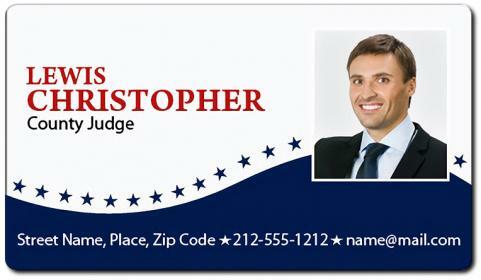 These business card magnets make a great value builder during campaign events or community events. Request a quote to know discounts that can be availed by bulk ordering these customized 2x3.5 campaign business card magnets round corner – 20 MIL from us.